Atlanta's Premiere Sport & Fitness Training Center! Become Stronger, Healthier, and More Fit Today! Welcome to Extreme Performance Training Systems! Why choose EPTS as your training center? Looking to lose fat and build muscle? Improve your health, fitness and energy levels? A high school, collegiate or professional athlete looking to take your game to the next level? A fighter or combat athlete looking for an edge on your competition? A powerlifter or strength athlete looking for a great environment to train in? I offer one on one and small group training at my Atlanta gym as well as online coaching and consulting services. Contact me today to find out how I can help you accomplish your goals! Receive FREE Health and Fitness Tips! Enter your name and email address to subscribe to Scott's Strength & Health Newsletter. Tai Chi Classes now at Extreme Performance Training Systems! I am now offering Tai Chi Classes on Mondays and Fridays at 11am! For more information email me at scott@eptsgym.com. If you are an athlete or health and fitness enthusiast looking for the best results from the time you invest in your training, my Atlanta-based training center has everything you need. Click here to visit my Training Services page to see the different programs I offer at EPTS. Are you an athlete or health and fitness enthusiast outside of the Atlanta area, or just looking for assistance with your training program? Click here to visit my Online Training Services page to see the different programs I offer to my clients worldwide! Congrats to Chris Jones & Team Creighton MMA! Congratulations to our Team EPTS athlete Chris Jones and friends from Creighton MMA Noah Wilson and Logan Santos for cleaning up on their super fight matches at the Southeastern Jiu Jitsu Championship Pro Super Fights 9/29/18! EPTS Athlete Chris Jones wins IBJJF Masters Worlds! 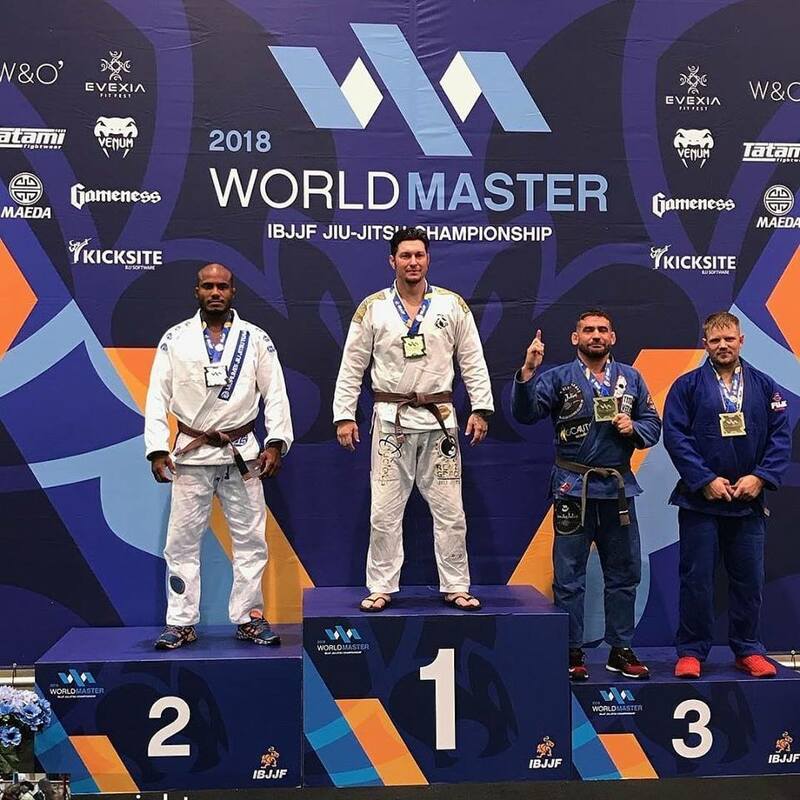 Congratulations to our BJJ athlete Chris Jones, of Creighton MMA and Nucleus BJJ, for winning his brown belt division at the 2018 IBJJF Masters Worlds! This makes two years in a row that he's won gold at worlds - congrats Chris! ​Email scott@eptsgym.com for more info! ​Why do motivated fitness enthusiasts seeking better health, and top athletes looking to dominate their competition choose to train at with EPTS? RESULTS! If you want results like these I can help!!! I helped Teresa Scheele lose weight, build muscle and go on to compete in fitness and weight lifting competitions. She even became a Certified Personal Trainer through the National Strength and Conditioning Association as well! I helped hip hop artist and fitness enthusiast Stic, of Dead Prez, build 20lbs of muscle in under 3 months while following a whole food, plant based diet - with no supplements, pills or powders! I worked with swimmer Karl Krug, 9x all-American from Auburn University, as he began his pro career resulting in winning the 50m freestyle title at the 2015 Canadian National Championship, a silver medal at the 2015 Pan American Games, and a bronze medal at the 2015 World Championships. I am the strength and conditioning coach for Brazilian Jiu Jitsu brown belt Chris Jones of Creighton MMA who recently won brown belt fight of the night at the Fight to Win Pro 20 as well as Gold medals at the 2017 IBJJF Master Worlds, IBJJF Nogi Worlds, IBJJF Pans and IBJJF Nogi Pans. I have coached powerlifter David Cohn to elite totals in the 114 and 123 lb weight classes including a 9.91 x bodyweight total of 1100 lbs at 111 lbs bodyweight. His best lifts are a 425 lb squat, 320 lb bench press, and 440 lb deadlift, and his 1179 lb elite total he made at 123 lbs is currently ranked 9th in the 132 lb class. These are just a few of the athletes and fitness enthusiasts I've had the pleasure of working with during my 20 year career as a fitness and strength training professional. Please visit my testimonials and featured athletes pages for more success stories! What Extreme Performance Training Systems Will Do For You! Extreme Performance Training Systems is Atlanta's premiere sport and fitness training center. Whether your goal is to dominate your competition on the field and in the ring, or to build optimal health, getting leaner and in the best shape of your life, EPTS has a program that will help you accomplish your goals in the shortest possible time, guaranteed! Sport Performance Training - destroy your competition with our superior approach to sport performance training! Personal Training - experience immediate results through one-on-one training! Buddy and Small Group Training - partner up and save! Powerlifting - become stronger than you thought possible! Online Coaching and Consulting - our expert training program anywhere, anytime! Kettlebell Trainer Certification - join the ranks of the best kettlebell trainers in the world! Clinics and Seminars - host us at your training facility! Youth Training - special attention for children and young athletes! On Site Corporate Wellness Training - improve your bottom line by making your company healthier and more fit! and much more - visit our Services page for more information! Contact us today to schedule a free consultation to find out how we can help you achieve your goals!